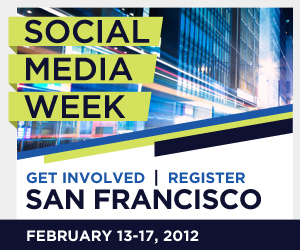 BeeSeen will be at Social Media Week in San Francisco starting tomorrow. How Non-Profits Can Leverage Social Technology for Growth at SF State with Tech Soup Global, Charity Blossom, San Francisco State University, VolunteerMatch, and the San Francisco Zoo. Social Media Week in San Francisco is headlined sponsored by Nokia.